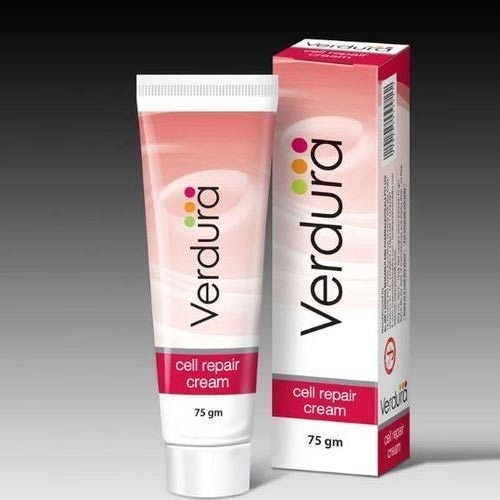 Our range of products include verdura cell repair cream and psoronorm cell repair oil. Wrightia tinctoria possess anti-inflammatory, wound healing and antimicrobial properties. Decreases Psoriatic scales. Effective in dandruff conditions. Cynadon dactylon possesses rich anti-oxidant activity, antimicrobial and wound healing activity. Almond oil contains vitamins A, B1, B2, B6, D and E. Acts as emollient to treat dry, irritated and inflamed skin. Avocado oil contains vitamins A, B, D and E. Rich in Licethin and Potassium which prevent dry skin conditions. Also possess anti-oxidant activity. Provides intense moisturization and much needed cell repair benefit to extreme dry skin. Delays cell senescence with powerful antioxidants. 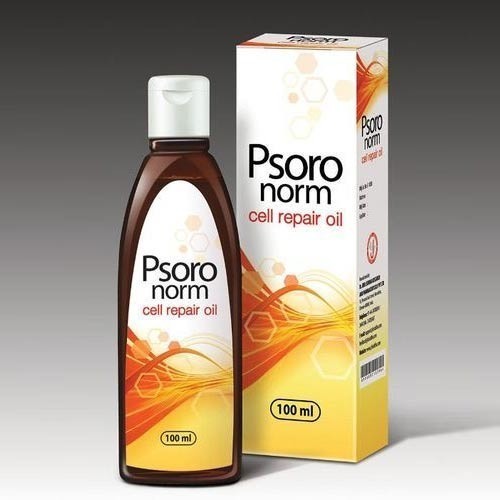 Prevents excessive shedding of cells in dry scaly skin by decreasing the cell cycle turnover. Indigofera tinctoria contains rich source of flavonoids which protect the skin. Indigofera asphalathoides contains phenolic and flavonoid compounds which possess anti-oxidant and antimicrobial propertiesanalgesic, anti-spasmodic and anti-inflammatory properties. Wrightia tinctoria contains flavonoids, tannins, glycosides and phenolic compounds which augment healing properties of skin. Apply sufficient quantity of oil over the required areas, thrice a day. Looking for “Anti Aging Psoriasis Products”?